#SCBD Places to Celebrate Halloween in NJ & NYC! Halloween is quickly approaching and there are tons of parties throughout New York & New Jersey starting this weekend. If I were you I’d grab your costume & an appetite for night of fun. 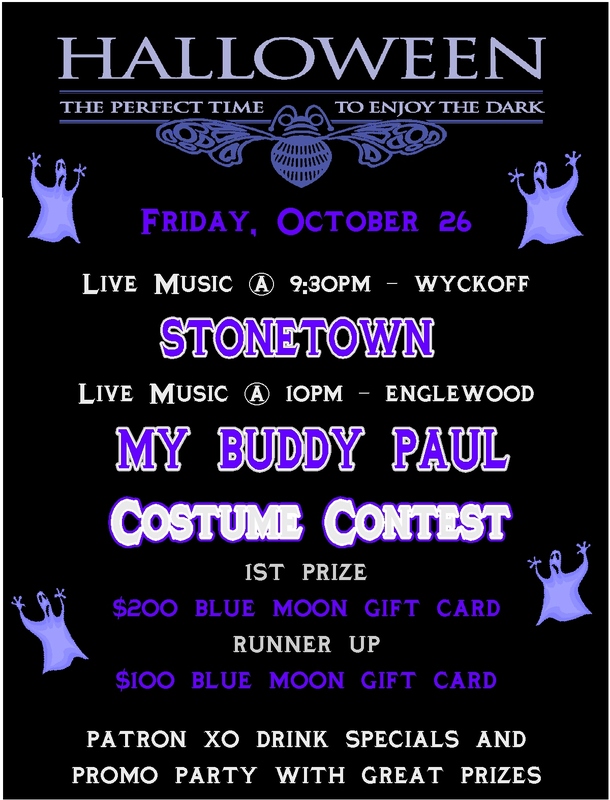 Blue Moon Mexican Cafe (Englewood & Wyckoff locations) will be holding an Adult Halloween Costume Party on this Friday 10/26! It will be a night filled with live Bands, a costume contest and a Patron XO Dark Promo Party with fun giveaways. First place winner of the costume contest will win a $200 BMMC gift card and $100 BMMC gift card for runner up. Also, On Halloween, they have their annual family contest – all children who dine at the Blue Moon in costume are entered to win one of 3 prizes $100 to Toy Store, $50 to Toy Store or Dinner for 4 to BMMC. 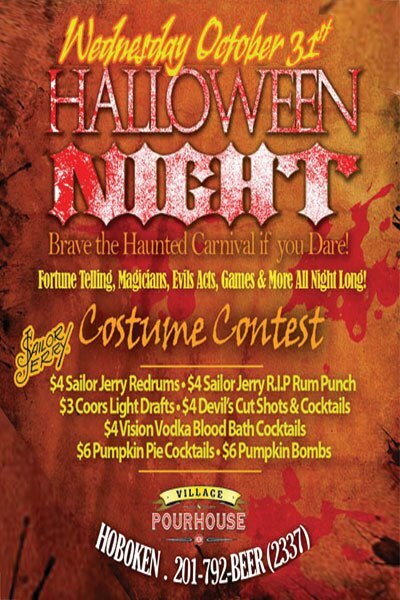 Village Pourhouse in Hoboken will be holding a carnival on Halloween night. Drink specials include $4 Sailor Jerry Redrums, Sailor Jerry RIP Rum Punch, Devil’s Cut shots & cocktails, and Vision Vodka Blood Bath Cocktails. $3 Coor Light drafts, & $6 pumpkin pie cocktails & pumpkin bombs! Cheers! 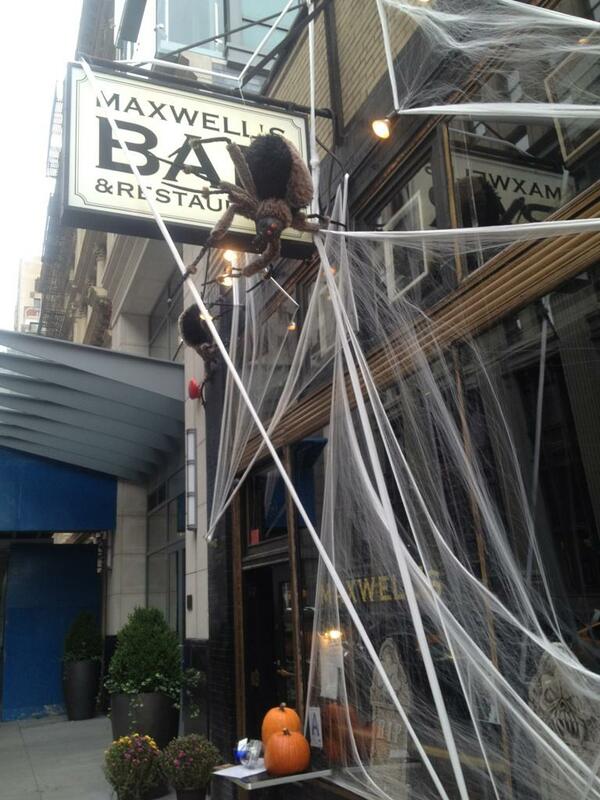 Maxwell’s Bar in Tribeca is hosting their Halloween Party this Saturday, October 27th starting at 9PM. Cover is $10 at the door but proceeds go directly to the LGS foundation. 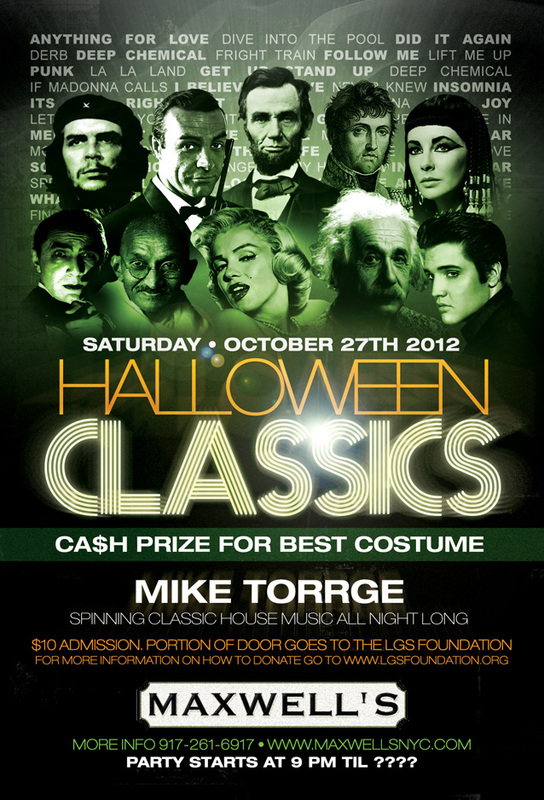 They will have a Dj and drink specials throughout the evening– costumes are a must! Insiders note– they will also be serving a special Halloween menu on Halloween including a Blood Orange Margarita, The Spooky Spicy Bloody Mary, or The Killer Transfusion for $10. Love bakeries as much as I do? Then you are in for a treat Halloween night at Ivy Bakery in SoHo! Make sure you attend the Halloween “Truck or Treat” Event. Celebrate some of Divine’s darkest flavors at the “Truck or Treat” Food Pop Up Event during New York City’s Halloween Parade on October 31st. 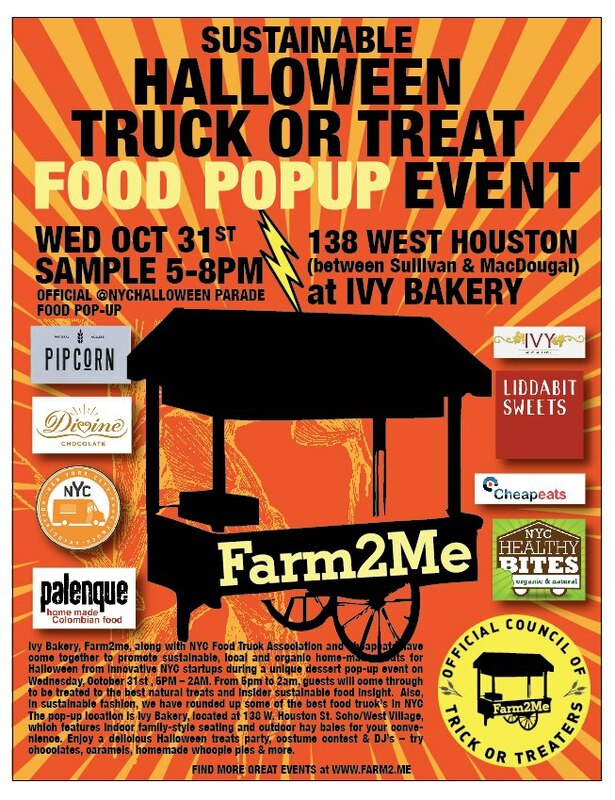 Presented by Ivy Bakery and Farm2Me, in conjunction with NYC Food Truck Association and Cheap Eats, the fun kicks-off at Ivy Bakery, 138 West Houston St (between MacDougal and Sullivan) at 5pm. From 5-8 pm, Divine Chocolate’s Trick or Treat station at Ivy Bakery will feature wicked samples of our 70% Dark, 70% Dark with Raspberries and our Limited Edition bars, including Dark Chocolate Hazelnut Truffle and Dark Chocolate with Hazelnuts and Cranberries. They have samples for Milk Chocolate lovers, too! Now the question is where to celebrate– in Jersey or the city? Decisions, decisions– maybe I’ll see you at one of the parties mentioned above! This entry was posted in Bergen County, Divine Chocolate, Halloween, Hoboken, Hudson County, Jersey, New York City, nj, parties, SCBD, Small Chick Big Deals and tagged celebrations, drinks, food, halloween, halloween parties, new jersey, nyc, scbd by smallchickbigdeals. Bookmark the permalink.